A short-sleeved pique top in a quick-drying functional material that effectively wicks away moisture. 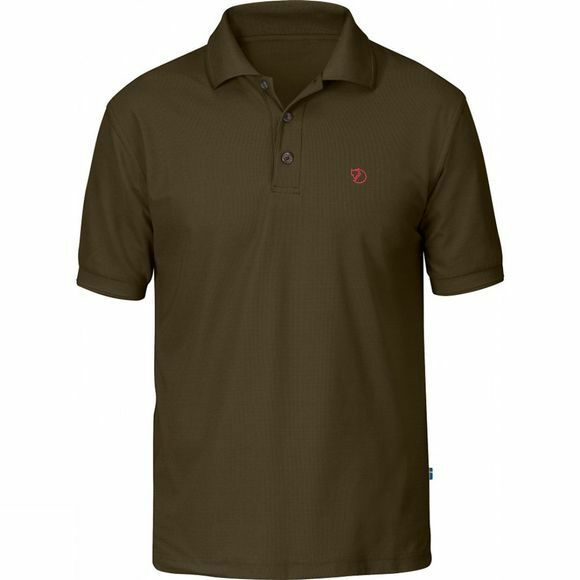 Perfect for sweaty treks or trips to warmer climates, the Fjällräven Men's Crowley Piqué Shirt has a classic design with a low collar and three buttons in the front. The fabric is manufactured in an environmentally friendly process that both spins and dyes the thread in the same step. For this top, that means about 50 percent less water and 48 percent less energy consumption compared to a traditionally produced pique shirt.